Cindis World: My first SPONSORED GIVEAWAY!!! An 18 X 24 Poster Print! My first SPONSORED GIVEAWAY!!! An 18 X 24 Poster Print! Guys I am totally excited to tell you that OnlinePosterPrinting.com is sponsoring my FIRST EVER giveaway! Its an 18 X 24 Poster Print that can be requested in high gloss or semi gloss. What better way to showcase your favorite photo, band, or artwork than through poster prints! These high quality prints will be a fantastic way to brighten up any wall. The quality of their Digital Photo Enlargement amazes me. 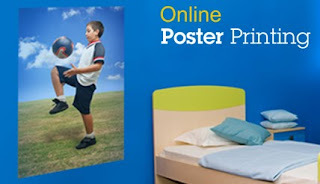 You can get some ideas by checking out their Digital Photos on Posters . My comments are moderated, so you dont have to worry about putting your info there, I will not let them be public. 2. Follow me on Twitter . 3. Become a fan on Facebook . 4. Subscribe to my blog posts on the right sidebar of my page. 5. Tweet this giveaway post with @itscindisworld. 6. Post this on your blog (put link to it as your entry). This giveaway ends February 28th at 12 pm EST..... GOOD LUCK!